A walking tour of a sampling of Eureka’s most beautifully restored homes giving guests a glimpse of a bygone era. All stops on the self-guided tour will be lavishly decorated for the season with Victorian attired docents to relate the history of each home. Visitors will be treated to carolers, Christmas music and refreshments along their journey into the past. 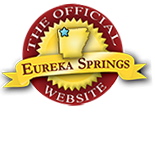 Visit http://www.eurekaspringspreservationsociety.org for 2017 details and ticket info. This entry was posted on November 16, 2017 by service424 in Basin Park Hotel, Crescent Hotel, Festivals, Fun Downtown, Nightlife, Shopping, Things to Do and tagged christmas, Christmas Festival, holiday getaway, homes, victorian tour.